Who's getting married? I would love to rock one of these! 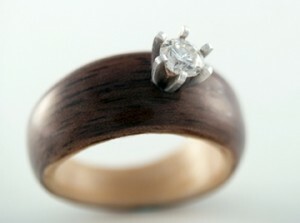 If you’re looking for an engagement ring that’s both environmentally friendly and has a touch of natural beauty, you might want to take a glance at wooden wedding bands. 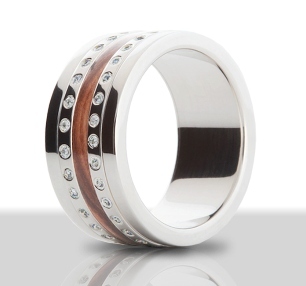 These rings are unique, stylish and brings out the inner “green” in everyone. Happy Earth Week! Gerald's response: So is giving her termites considered a divorce gift? LOL ... I just had to post!